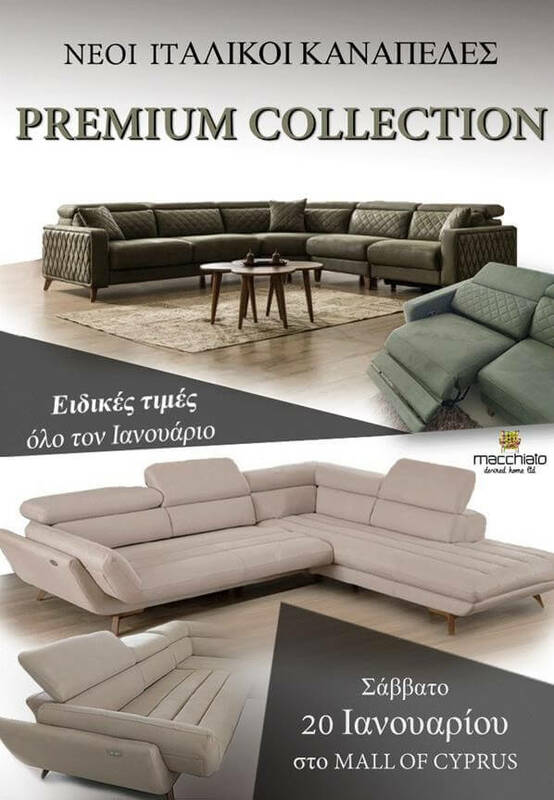 Come on 20/01/2018 at The Mall of Cyprus to meet the new MACCHIATO range of Italian furniture !! Italian sofas, charging devices with usb plug, become a bed or a chaiselounge by the touch of a button, and take advantage of SPECIAL PRICES for January. See also the new range of bedroom and mattress and do not miss the chance to get in the COMPETITION to win a set of bed and mattress.